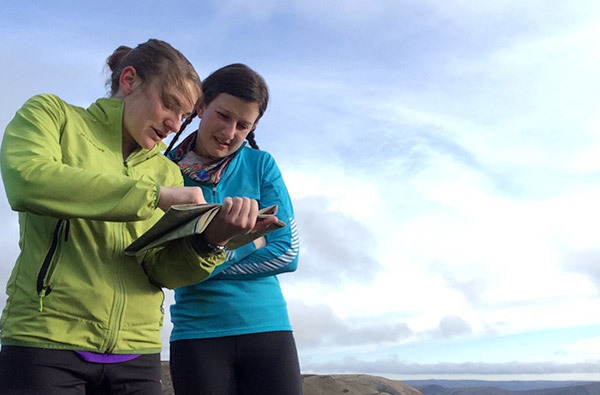 This summer Libby Kerr and Lisa Trollope are attempting a continuous round of the Munros (all the mountains in Scotland over 3,000 feet). We’ll be summiting all 282 mountains, cycling between them and throwing in a little bit of kayaking. This will involve 1,000 miles of running, 1,000 miles of cycling and 149,000m ascent -17 x the height of Everest (eek!)! This feat has only been completed by three other women in the past with a fastest known time of 113 days. We plan to complete the challenge within 80 days, blogging and filming our adventure to inspire other women to get out into the mountains and to get active. Our first Munro will be Ben More on the Isle of Mull at the start of July and we’ll work our way around Scotland to end on Ben Hope in the north in mid September. This challenge is going to be tough on our bodies, and this is where RockTape comes in! Libby has experienced issues during training with her left knee during training. Her VMO muscle appears to be having a break and letting the rest of the quad muscle do all the work. She’s been trying to kick the VMO into action both with exercises and with RockTape H20 applied to the muscle to encourage it to activate. Much of the running will be across pathless hillside. Scree covered descents, grassy tussocks, thigh-high heather/gorse and uneven ground mean that there is a high potential to land awkwardly and ankles especially can take a battering on this sort of terrain. When muscles are tired this can easily lead to injury. We plan to help prevent this by using RockTape H2O to provide some additional stability to the ankle. Whilst we very much hope to get through this challenge injury free, the terrain is very tough and we will be asking a lot of our bodies. Preparation is key in a challenge like this and having a roll of RockTape in the support van will help to reassure us that we can deal with any niggles, achey muscles or other issues promptly.